“I need help setting up a Facebook business page, IF that is the best place to be for a wedding officiant. I do not use social media personally but do want to increase my visibility and therefore my bookings. Answer: Optimize, target and promote your page to attract leads. Facebook is a powerful way for any wedding business to attract targeted leads. The key is having a strategy that works. What most wedding pros do with Facebook is the equivalent of setting up shop in the middle of the forest and expecting people to just show up on the doorstep. And it works just about as well, too. Effective Facebook marketing requires great content, proper targeting and engagement. Read this article to learn how to get your Facebook page up to snuff. Step 1 – Set up your Facebook business page so that it’s easy for couples to find you. The good news about this is that you only have to do it once! Even if your page is already set up, follow these guidelines to optimize your Facebook page with your keywords and include the features that will help you get found. Once you’ve done that, it’s time to connect with other local wedding businesses. This allows you to tap into the bride and groom audience that’s following those businesses each time you like, comment and share their posts. “Like” the most popular local wedding business pages as your business page. You’ll want to do this as your page (rather than your personal profile) because it allows you to @ tag the business and promote your business’ name and logo in front of that targeted audience of brides and grooms. Finally, spend at least 15 minutes per week (preferably 15 minutes per day) as your page, liking commenting and sharing on the posts made by these local businesses. This is great for building powerful networking relationships and getting your business in front of that targeted audience. 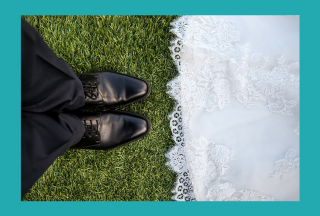 Step 2 – Use your personal profile to connect with other wedding pros. This doesn’t directly put your business in front of couples, but it does generate referrals and leads. 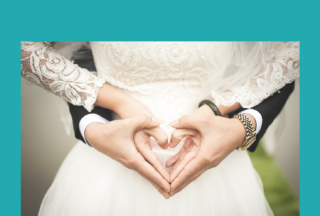 This time from your personal profile, connect with the individual wedding business owners. As a wedding officiant, the venue sales staff and wedding planners in your market will be some of the best networking resources. Create a special interest list of these wedding pros on your Facebook page so that you can follow their posts easily. Spend a few minutes each day liking, sharing and commenting on their posts to stay top of mind and earn referrals. Step 3 – Run Facebook Ads targeted for custom audiences. Even a few years ago, having a Facebook page with lots of engagement was enough to get your posts in front of brides and grooms for free. While this type of organic reach still happens, in most cases only about 11% of your fans are actually seeing your posts. The way around this is to promote your content with Facebook Ads. Even $5 per day is enough to get your business in front of highly targeted leads…but you need to use a strategic approach. Most wedding pros try to target their Facebook ads by interests, but custom audiences are much more powerful and effective. Facebook allows you to create a custom audience made up of your website visitors, or the email addresses and phone numbers you upload. This means you can target the specific group of people who have demonstrated some type of interest in your business, and quit wasting money putting your ads in front of people who aren’t interested. 1. Create a website custom audience from the last 180 Days. Add the tracking code to your website, and Facebook immediately creates an audience of your website visitors. 2. Target your ads for that audience. A mix of special promotions and informational blog posts is best. This allows you to retarget the people who’ve visited your website and left without contacting you. It’s typically the least expensive group to advertise to and the most likely to respond. If you want to extend the reach of your Facebook Ads further, create a lookalike audience based on your website custom audience. A lookalike audience allows you to create a much larger group of prospects with demographics that match your website visitors. Then you can target them further by focusing on those with relationship status “engaged” who are in your local zip codes. NOTE: If most of your couples are planning a destination wedding, you won’t be able to target them by local zip code. Instead, target this group by those who have the interest “weddings” or use Facebook’s new location targeting options. These three steps work well together, but any one of them will earn targeted local leads for your wedding business. What do you think about Facebook for leads? 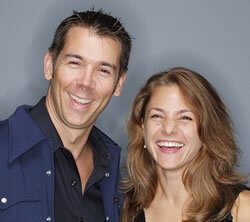 How To Target Your Advertising Dollars to Attract the Right Couples for Your Wedding Business!